Atlanta Discount Real Estate Brokers: Are they Really Overrated? Selling with an Atlanta Discount Real Estate Agent or Broker doesn’t necessarily mean Cheap Service. In fact it may be just the opposite. What is a Discount Real Estate Broker in Atlanta? A Discount Real Estate Broker or Agent (In Atlanta) may be best described in the following manner: A broker or agent who offers reduced commissions to sell your home. Usually with a Discount Real Estate Broker there are no out of Pocket Expenses incurred to list and sell your home. The Exclusive Seller Brokerage Listing Agreement will control the Seller’s and Broker’s Obligations during the term of the agreement. Are the Brokers Duties in a Listing Agreement typically the same for a Discount Real Estate Broker as they are for a Traditional Real Estate Brokerage Firm? Absolutely! In Atlanta most agents will use the GAR (Georgia Association off Realtor) Listing Form. This form controls the obligations of both the Broker and Seller. Most sellers understand the obligations of the parties under the terms set forth in the agreement. One should consider the listing agreement as a partnership rather than a contract. The standard GAR Listing agreement or Exclusive Seller Listing Agreement contains six major points describing a Real Estate Broker’s duties during the listing agreement. Make all Disclosures Required by Law. Use the Broker’s Best efforts to procure a ready, willing and able buyer to purchase the property at a predetermined sale price. To assist or not assist seller in Negotiations of pre-printed Real Estate Forms. Broker will Comply will Equal Housing Opportunity Laws. That the Broker will List the property in the local MLS system(s). The broker works very hard to sell your home, but without the cooperation from the seller, it is doubtful a successful closing will occur. So what can a Seller do to help the Broker Sell a Home? Following a few common sense guidelines should enable a Discount Brokerage Firm (Not Just in Atlanta) to sell your home. (The list below is not all inclusive) 1.) Your Home must be presentable at all times. (Including the exterior) • Example: Always de-clutter your Home. This doesn’t always mean just removing items from your home, but also extends to the overall appearance of the remaining items. Tip: Organize the remaining items in your home into orderly fashion. This will go a long way with potential buyers. 3.) 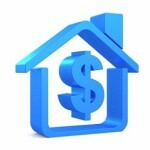 Your Home must be priced competitively with other homes in your area. • Example: If you were to buy a new car and two different dealers have the same car at different prices which one would you buy? The same type of scenario holds true when shopping for a home. Tip: Once Homes are listed with an agent or broker, they are then in competition with each other. Services Offered by Discount and Traditional Real Estate Firms. Most Discount Real Estate Services in Atlanta offer many of the same services as your Traditional Real Estate Companies. Below is a list of common IDENTICAL SERVICES offered by both a typical Discount Real Estate Broker/Agent and a typical Traditional Real Estate Company. Additional Website Marketing on nationally recognized websites. Photos: 25 Photos of your home. Seller Representation through out the listing agreement. Yard Signs & Directional Signs. Comparative Market Analysis for assistance in pricing your home. Lock Box for agent access. Answer Buyer agent and/or potential buyer phone calls. Does the Discount Brokerage Model Effectively Sell Homes? Yes!! Let’s examine the Discount Real Estate Broker’s model from a business perspective. The First thing to consider is a Discount Broker/Agent (Unlike a Flat Fee Broker) doesn’t receive any up front fees to market and sell your home. Your home must SELL before the agent/broker receives any commissions. Therefore, they are out to sell your home. Period! The Discount and Flat Fee Listing models have become so successful most Brokerage Firms offering these services have experienced double digit growth in recent years. Why or How can they discount commissions and still sell homes effectively? The answer is two fold. First, like any other business it’s all about having systems in place. Effective systems allow Broker(s)/Agent(s) to streamline their processes, effectively SELL HOMES while offering reduced commissions. Secondly, the Discount Brokers have realized their commission structures aren’t necessarily low but that other Traditional Real Estate Companies are too high. Are there different types of Discount Real Estate Brokers in Atlanta? Yes! We have seen Discount Real Estate Companies in Atlanta offer services as low as 1.00% of the sale price to list your home. This type of service generally lacks the necessary tools to market and sell your home without additional work from the seller. As an example: A 1.00% Discount Listing Broker typically doesn’t support sellers in contract negotiations or preparation. Unless you are familiar with Real Estate Transactions, we recommend letting an experienced Broker handle the contract. Failure to properly execute a Real Estate contract could result in current negotiations falling apart or even worse a law suit. This is why Real Estate Brokerage Firms carry E & O Insurance. (Errors & Omissions) HomeAtlantaGa offers full contract negotiations and preparation. A full list of our services may be found in the next section. 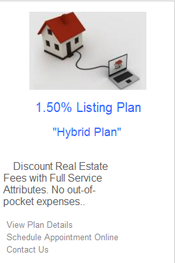 Examine the savings one might experience with our Hybrid Listing Plan. Atlanta Discount Real Estate Brokers are very effective when it comes to selling homes. So, if you’re considering selling your home, give HomeAtlantaGa a try! There are no out-of-pocket expenses and you could possibly save thousands, if not tens of thousands of dollars!! This entry was posted in Discount Real Estate Atlanta and tagged Agent, Atlanta, Broker, Cheap, Commissions, Discount, Discount Agent, Discount MLS Atlanta, Discount Real Estate Atlanta, Flat Fee Broker, Flat Fee MLS Atlanta, Listings, MLS Flat Fee, Real Estate, Realtor, Realty, Reduced Commissions, Sell for Less, serivce on 10/16/2013 by Mark Tidwell. So you want to sell your Home using an Discount Real Estate Broker? Great Idea!! But what type of Real Estate Services are Offered and which type should you use? There’s never been a better time to sell your home with an Atlanta Discount Broker. Discount Realtors have inundated the Real Estate Market with different service levels. There’re so many Discount MLS Listing Plans available; Choosing the right level of Service is as important as the Real Estate Company itself. 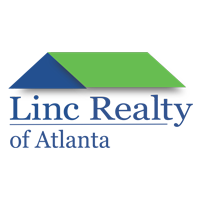 Generally speaking there are 5 types of MLS listing services offered to Atlanta Sellers. 1.) National Chain type Flat Fee MLS Listing Company which typically charges a Flat Fee to list your home. This type of listing service is generally done over the internet. 2.) National Chain type Discount MLS Real Estate Services typically offer listing services at reduced rates over the Traditional Real Estate Model. Again a lot of this is done over the internet. 3.) Local Flat Fee Brokers (In this case Atlanta) typically charge a Flat Fee. (or a Flat Fee with a small percentage at closing.) to list your home on the Local MLS systems. 4.) Local Discount MLS Real Estate Services typically offer reduced rates with perhaps some additional local market knowledge, experience and expertise thrown in. 5.) Local Traditional Real Estate Brokers provide Full Service Real Estate and probably offer the same local knowledge and experience as your local Discount MLS Broker. Let me first start by saying HomeAtlantaGa.com offers 3 of the 5 services listed above. We are local (To Atlanta) and we offer an Flat Fee MLS Listing Service, Discount MLS Listing Service and Full Service Real Estate services. 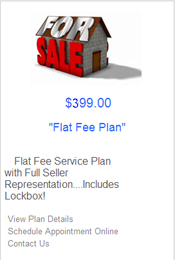 So which type of Discount or Flat Fee Real Estate Service should you choose? The answer will depend largely on your financial position, reason for selling, how much time you wish to dedicate to selling your home and/or how comfortable you feel handling certain parts of a Real Estate Transaction. Let’s start with the National MLS Listing chains. In my opinion, I would never sell/list my personal home with a national chain, either discount or flat fee. This to me is just common sense. I want the agent/broker selling my home to be local and available. So how do you know if an agent or brokerage firm is local to Atlanta? The Georgia Real Estate Commission offers a free search tool. You may look up individual agent(s) or a Real Estate Brokerage firm. Make sure you know the Firm’s true name as some companies market their brand under a DBA (Doing Business As) name. Now, let’s examine the remaining categories. 2.) Local Real Estate Broker charging a Flat Fee. 3.) Local Real Estate Broker offering a Discount MLS Listing Plan. In certain circumstances Full Service Real Estate Brokers are justifiable. As an example, Discount or Flat Fee MLS Brokers may not offer Home Staging. In this case you may wish to hire a Full Service Real Estate Broker. Another service which may not be offered by a Flat Fee or Discount MLS Broker is listing/selling a home involving a Job Relocation. It really depends on the seller’s situation whether they should hire a Traditional Real Estate Company or a Discount Real Estate Broker. So what about a local flat fee MLS listing broker? Typically there are two types of Flat Fee Real Estate Services. One may typically charge a “set fee” to list your home while the other usually charges a “set fee” plus a “small percentage fee” of the sale price. In most instances this small percentage fee is only applicable at a successful closing of the listed property. So what’s the difference in these two types of Flat Fee services? Typically the “set fee” broker will list a home according to a predetermined set of standards and that’s it. Once the property is listed you’re usually on your own. Where as a “set fee plus a percentage of sale” broker tends to offer services far superior to your “set fee” broker. Some “Set Fee” Brokers will “assist” sellers in selected areas of service, but that word “assists” always makes me wonder. So which is better a “set fee” or “set fee plus a percentage” listing service? My answer hands down is a “set fee plus a percentage” Broker. In fact, my independent studies have shown a “set fee plus percentage broker” closes 30% more homes (of total homes they list) over the “set fee” companies. The reason behind this is simple; you get what you pay for! So where is the sweet spot? Some advantages of this type of listing service include, but are not limited to, no out of pocket expenses to list/sell your home. My plan (The Hybrid Plan) offers enhanced services over our Flat Fee Plan while saving you an average of 1.25% in commissions (Of the sales price) verses the Traditional Real Estate Model. This entry was posted in Discount Real Estate Atlanta and tagged Atlanta, Cheap, Discount, Flat Fee Broker, listing broker, mls, Real Estate, serivce on 09/24/2013 by Mark Tidwell. Sell Your Home For Less! !